From Culture Fly. 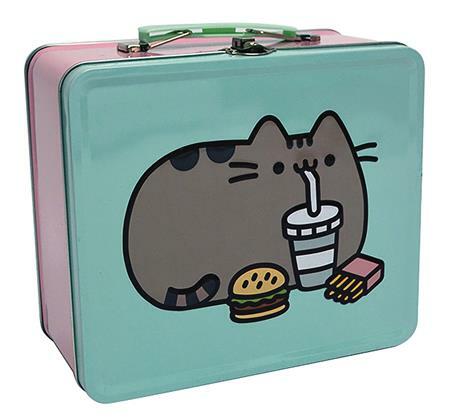 Take Pusheen along wherever you go with this colorful reusable lunch tote! It also makes a great storage tin for letters, receipts, and photos, or for organizing craft and office supplies. The metal latch closure secures the lid from popping up so you can carry it with you by the handle. Lunchbox measures 8 x 7 x 4 inches.